Oil Pastel on Board. 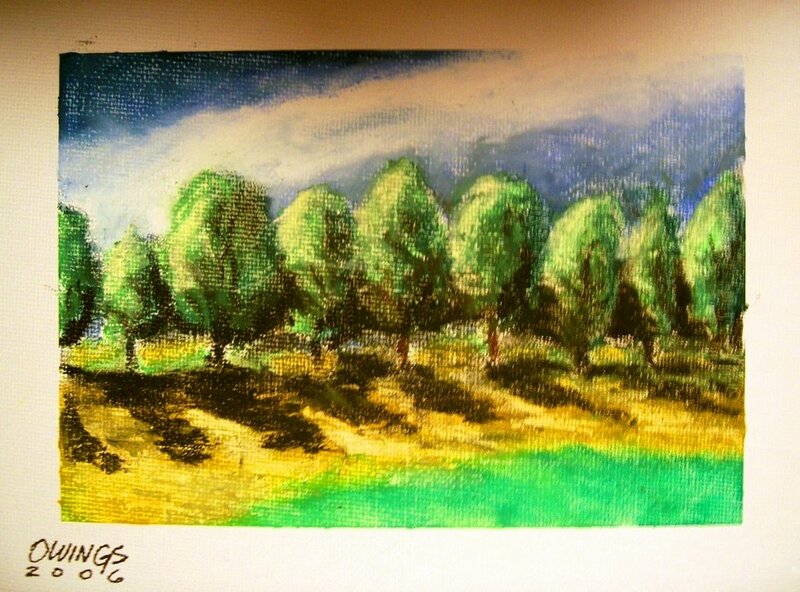 An artist named Woodrow Olson gave me the idea to use oil pastels on small format canvas. He uses small paper and does incredible pastels. Comment was removed because it was a solicitation.